We've been debating and praying about having another baby for several years and finally felt confirmed that now was the time. With such fun news to share, it seemed natural to want to find a unique way to spread our joy. Yes, I usually am posting images of commercial architecture or real estate photography, but today was a day for something out-of-the-box and creative. My wife says I am like the mechanic that doesn't keep a car running at home and while this still doesn't give us a true family photo, it does have every family member represented. Given the time of year and having three kids who just carved pumpkins, we grabbed a smaller fourth and started to put a few ideas together. 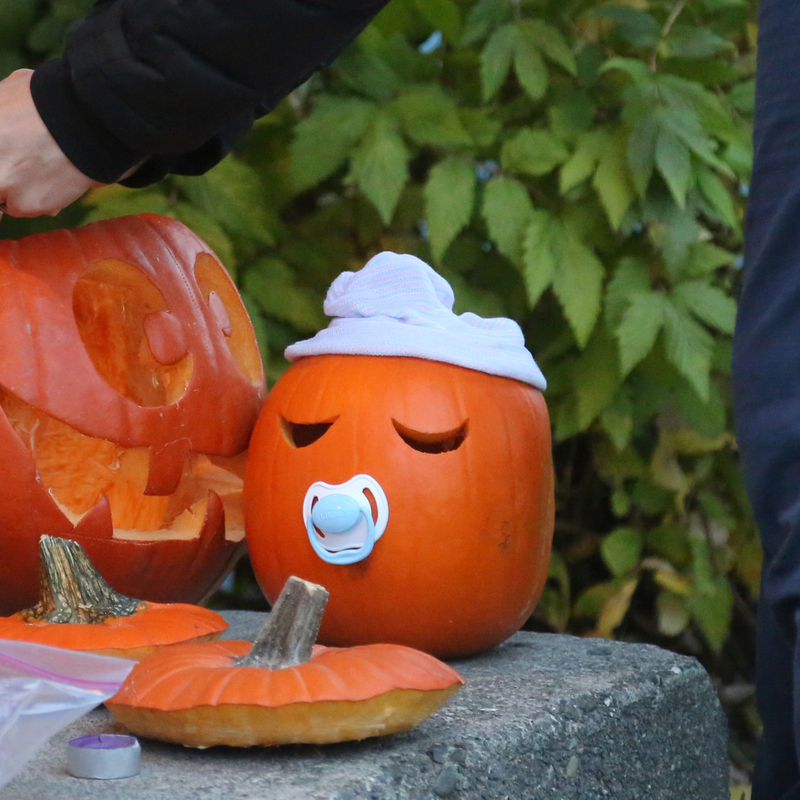 After looking at myriads of images on the internet of baby clip art and pumpkin images, we finally agreed on a theme. Dayton, age 8, ensures that his rather large pumpkin is in good view of the camera. The pumpkins were cute, but the image was a little lack luster. Nothing that a few fall items from the front porch couldn't resolve. Favorite tool in my bag!!! Not only can I get a sharper image from using the iPad to trigger the camera, but anyone helping stage the image enjoys knowing what I'm capturing, especially interior designers and in this case, my wife, who happens to be looking over my shoulder. Manipulated in Pages and saved as a jpeg. No actual photo editing needed. Shot with my new favorite camera - Cannon 5DmarkIII.